Royalwood - Will be walking distance to the new Geist Waterfront Park. MLS#21629986. Highgarden Real Estate. 10 minutes from Hamilton Center. Fenced back yard for dogs. MLS#21629292. Moores Realty. Prescott - Nest thermostat & doorbell, Kinetico water softener & R/O system. MLS#21626789. F.C. Tucker Company. 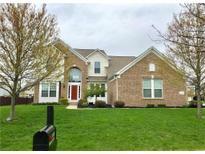 Tanglewood - Amazing outdoor living w/ the huge patio w/ built-in fire pit & relaxing pond views. Community pool & playground. MLS#21626458. F.C. Tucker Company. Brendonshire - Conveniently Located Just Minutes from Shopping, Dining, Entertainment, I-69 and St Rd 37! MLS#21617450. Keller Williams Indy Metro NE. Sand Creek Farms - Plumbing is roughed in as well! MLS#21629703. 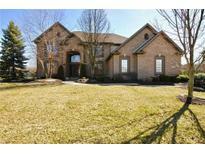 Keller Williams Indpls Metro N.
Sunblest Farms - 2 car garage with concrete parking pad for 3rd car. MLS#21629037. F.C. Tucker Company. Wildwood Estates - Beautiful landscaping and fenced in back yard. Move in ready. MLS#21629749. Berkshire Hathaway Home. 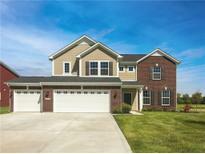 Charleston Crossing - Walking distance from downtown Fishers/Nickle Plate District and the Amphitheatre. MLS#21628703. Weichert, REALTORS - Success!. 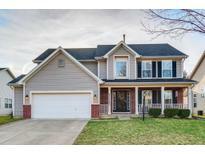 Cumberland Place - Click the link above for a 3D virtual tour of the home. MLS#21629351. 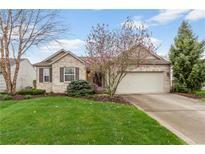 Keller Williams Indpls Metro N.
Fishers Pointe - Newer furnace, central air, hot water heater, garage door & opener. 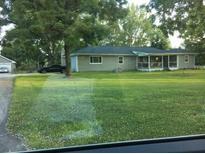 MLS#21629599. Mike Duncan Real Estate Group. Future amenities included pool, pickle ball/tennis/b-ball & walking trails. MLS#21629565. Berkshire Hathaway Home. Brooks Landing - Home in need of some updates and TLC - price reflects such. 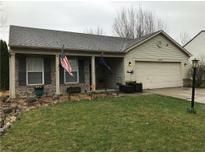 MLS#21628282. Providence Real Estate Service.